It’s amazing. If you try and describe the 1964 Corvette to someone, most times, you’ll find yourself describing what it DOESN’T have, more than what it does. 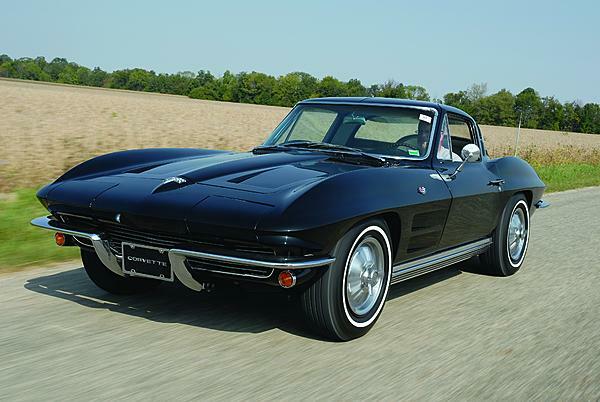 The 1964 Corvette had a lot going for it. It’s securely a member of the midyear body style, which has proven itself as a timeless classic. 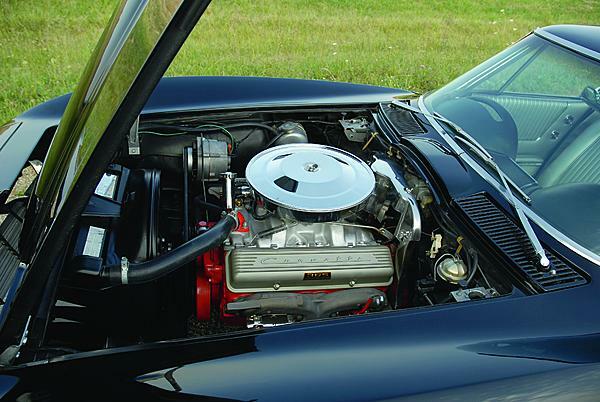 It stood as a sizeable performance car with engine choices that ranged from 250 horsepower all the way up to 375 horses, thanks to the Rochester fuel injection unit. Zora was still committed to making Corvette’s mark in performance arenas (whether the corporate suits knew it or not) and every red-blooded American boy dreamed of pulling into the high school parking lot with one. 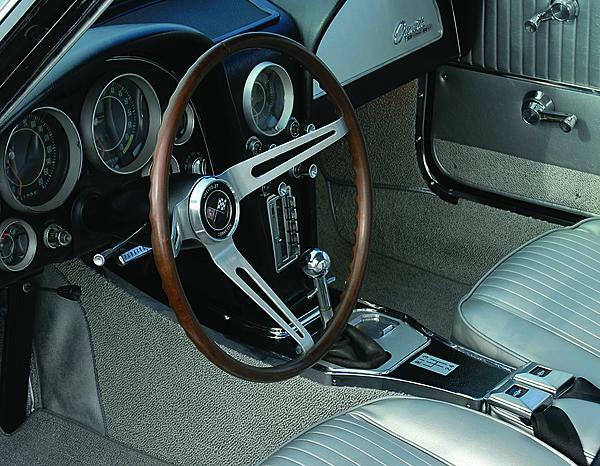 There were a bevy of options available to enthusiasts who were willing to shell out the coin to make it the car of their dreams. Heavy-duty brakes and sintered metallic brake linings were available for $629.50 and $53.80, respectively. 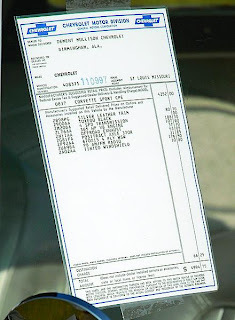 An off-road exhaust was available for $37.70, for those moments where the sound of a racing engine was more coveted than the conversation inside the cockpit, and if driving for longer periods of time without fuel stops was beneficial, there was a 36-gallon fuel tank available for another $202.30. A positraction rear differential would set you back another $43.50, but it was money well spent as you were leaving the crowded high school parking lot. On the safety and styling front, tinted glass was available for $16.15 (all windows) or $10.80 (windshield only). For a little more glimmer, you could get a set of five knock-off wheels for another $322.80. You could look cool, and keep cool, with the optional air conditioning for another $421.80 and the driving chores could be made easier with power steering ($75.35), power windows ($59.20), power brakes ($43.05) and a Powerglide transmission for another $199.10. Of course, many enthusiasts opted to do their own shifting, as 19,034 of them elected to spend the lesser amount ($188.30) on the four-speed transmission. With all of that going for it, why does the highly-capable ’64 Corvette get known more for what it doesn’t offer, than what it does? 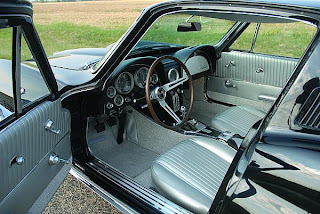 For starters, it doesn’t have the famous rear split-window that the older sibling ’63 does. That thin strip of fiberglass tucked in between two sheets of clear glass has become an iconic, and highly sought-after, birthmark of the first year midyear. But that wasn’t always the case. In fact, the first father of Corvette, Zora Arkus-Duntov himself, disliked the feature so much that heated debates filtered their way up to the head of Chevrolet, where it was decided to be a one-year-only styling cue. Zora conceded, stating that it was an unnecessary blind spot to the driver’s rear view and a solid sheet of glass was a much better use of the rear view mirror. 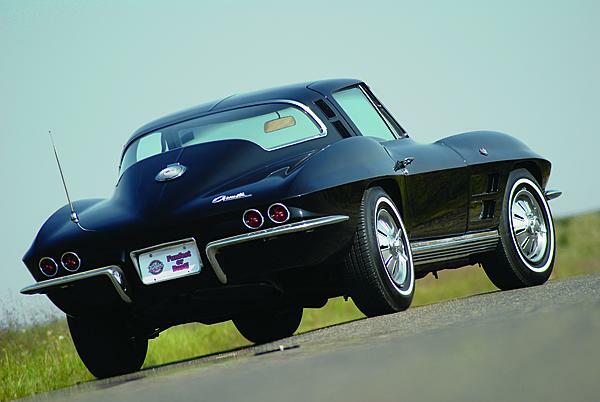 Interestingly, many owners of ’63 Corvettes agreed, and when the ’64 Corvettes showed up on showroom floors, many of them cut out the small stretch of fiberglass and replaced it with a one-piece rear glass from a ’64! Another way we define a ’64 for what it is, by what it isn’t, is the lack of the shiny (but phony) grilles that rested openly atop the previous year’s model. While the chrome is gone, the indentations would remain for this year, before all traces of their existence would be wiped out the following year. Speaking of 1965, another item that the ’64 missed by one year was disc brakes. Those new-for-’65 stoppers were a great addition to Corvette and worked so well that the same basic design would carry over into the next generation of Corvettes and continue until 1982. As good as they were, they didn’t help the ’64 Corvette one bit. All that being said, one would be remiss if they were to overlook this year in Corvette production. The Corvette’s new body style was clearly taking a firm hold with 22,229 units produced (13,925 convertibles and 8,304 coupes), which was more than 1963 and only slightly less than 1965 numbers. Performance was still available in both carbureted and fuel injected forms, and there were transmissions for both console-rowers and “set it and forget it” types. Maybe that’s why Danny Williams of Strafford, Missouri, loves his ’64 so much. Maybe it’s because the car’s enthusiast-based drivability isn’t muddied up with baubles that don’t increase its enjoyability to the driver, only its value to someone else. And that’s not why Danny bought this particular car. Danny’s Corvette has several features that help to keep the fun levels high. Items like the positraction differential, coupled with the four-speed, can surely make waste of those bias-ply whitewalls and when you couple that with the highest-rated carbureted engine option (the 365hp L76) the fun is sure to continue. The off-road exhaust on Danny’s ride also lets the world know that this minimalistic midyear means business. Suit-wearing enthusiasts will likely note items like the tinted windshield, the AM/FM radio and the silver leather lining that envelops those on the inside of Danny’s pride and joy. Coating the entire package in a Tuxedo Black wrapper gives both a Dr. Jekyl/Mr. Hyde persona to Danny’s Corvette. It has plenty to offer those who enjoy performance driving and even considers those who enjoy the touring side of burning up the miles. With so much to offer in a tastefully styled package, it’s a wonder why anyone would want to try and describe it for what it doesn’t have. You have a unique opportunity to download mods for Minecraft 1.12.2 to your computer. To do this, you need to go to the page and click on the appropriate button. MrCrayfish’s Vehicle Mod is a useful modification that allows players to jump over the fence, which will prevent the animals from escaping from the pen during the opening of the gate. And please let me grow my backlink! That can only be done when you give permission! Thanking We are Mumbai based wedding planners and specialize in Destination Weddings. We have successfully planned, designed, managed and executed several weddings for overseas clients as well as many esteemed clients in the country. Some of the many locations we have planned weddings in India include Goa, Udaipur, Daman, Lonavala, Alibaug, Mumbai and many more. Get Started with mcafee activate from mcafee.com/activate. Easy steps to enter mcafee activation key. Visit - www.mcafee.com/activate for mcafee activate.